Former U.S. Rep. Todd Rokita, who ran last year for a U.S. Senate seat from Indiana, has joined Apex Benefits in Indianapolis. Rokita, a Republican from Brownsburg, has been named general counsel and vice president of external affairs for Apex Benefits, which manages employee health benefits plans. His job will include overseeing corporate legal strategies and advocating for clients on public policy initiatives. 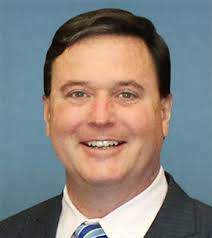 Rokita, 48, is a former two-term Indiana secretary of state who represented west-central and northwest Indiana in the 4th Congressional District from 2011 until this year. He unsuccessfully sought the 2018 GOP nomination for a Senate seat.